I love this cute activity for all levels depending on the type of class being taught! 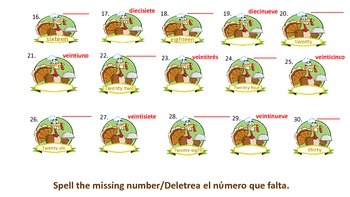 Turkeys are used for numbering purposes. Even numbers are typed in English, and students have to write in the odd numbers. 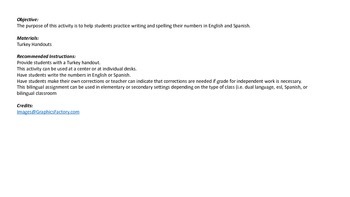 The odd numbers are typed in Spanish, and students have to write in the even numbers. The numbers are from one/uno to thirty/treinta. 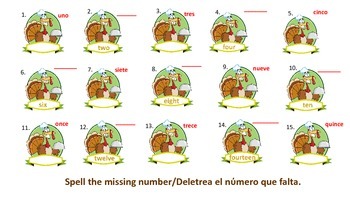 This activity can be used in bilingual/dual language classrooms, ESL, and Spanish language classrooms. This activity can be used in centers or at students' desks. 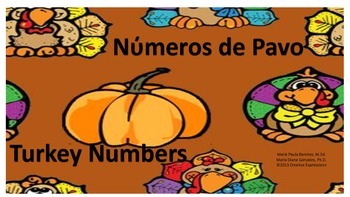 Use this activity with any students needing to practice writing their numbers from 1-30 in English or Spanish.